Abu Dhabi is the largest and richest region of the country. This is where the capital, which bears the same name, is situated. 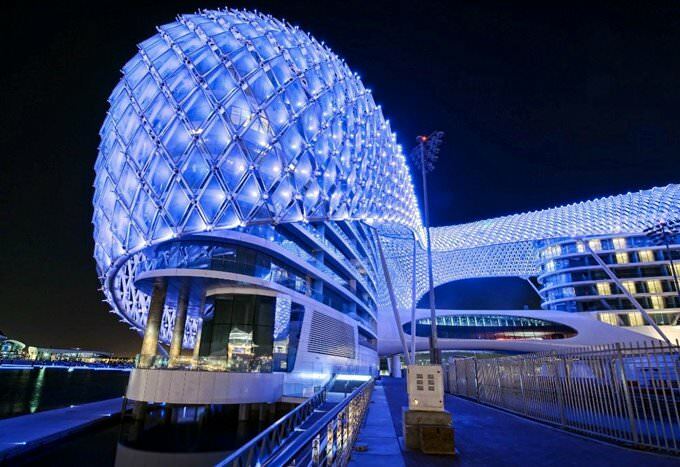 Abu Dhabi is full of luxury hotels and popular beaches, colorful markets and large-scale shopping malls, which are known far beyond the country. It combines modern style and loyalty to national traditions in a particular way. The emirate is rich in interesting sights and cultural centers. The most important architectural and religious monument is Sheikh Zayed Grand Mosque , unique in its scale and beauty. The mosque is one of the largest in the world, as it can accommodate more than 80,000 people at the same time. The mosque features chic decoration, including carved ceilings and huge chandeliers, charming painting and mosaics. The walls of the mosque house the world's largest handmade carpet, as well as fine home furnishings with gold. A rather unusual sight is Abu Dhabi Falcon Hospital . It’s the largest clinic in the world caring about birds. The hospital is open for public access. It forms a single complex with amazing museums housing exhibitions devoted to birds. An aviary, where patients may fly freely and enjoy comfortable conditions, deserves special attention. Many travelers consider the camel market located in Al Ain to be the most attractive attraction. More recently, dozens of markets operated in the United Arab Emirates, but these days only one camel market has managed to survive. Its visitors have a great opportunity to look close to amazing animals, take a lot of interesting photos and watch locals choosing their camels. As for famous historical sights, you should definitely see lovely Palace of Al-Husn . It’s the oldest architectural complex in the capital. Powerful fortifications were built in the second half of the 19th century. Currently, the beautiful palace is completely restored; it’s used for storing important historical archives. Fans of educational tours and exhibitions should definitely look into the Abu Dhabi Cultural Centre arranging a variety of activities. There are art exhibitions and presentations, as well as events devoted to national culture. Heritage Village is located next to the center. It will allow learning many interesting things about life and traditions of locals. This picturesque emirate is ready to offer its guests everything for interesting and informative holidays, as each of its attraction is truly unique. Shopping remains one of the most popular entertainments that guests of the emirate genuinely love. Here vacationers can visit both luxurious shopping centers and authentic oriental bazaars. Local bazaars sell such interesting items as essential oils and natural cosmetics based on oil, and perfumes. Vacationers will be amazed by hundreds of spices and herbs, popular oriental sweets, and, of course, fragrant coffee. It is particularly important to mention jewelry in the traditional Arabian style that is not only beautiful but also affordable. Handmade blankets and carpets also remain a popular souvenir. In Abu Dhabi, there are even special markets where talented masters offer their masterpieces. In order to shop for branded items by the world’s most famous companies, it is better to visit local shopping centers. Quite an interesting fact – it is allowed to bargain in shops same as on markets. Do not hesitate to ask for a discount on an item you like. On the market, it is possible to reduce the price in half by bargaining, and in shops, the discount will be smaller, approximately 20-30%. Visiting the camel market has become a popular entertainment that tourists genuinely enjoy. It is an authentic place where visitors can see how locals buy and sell these animals. 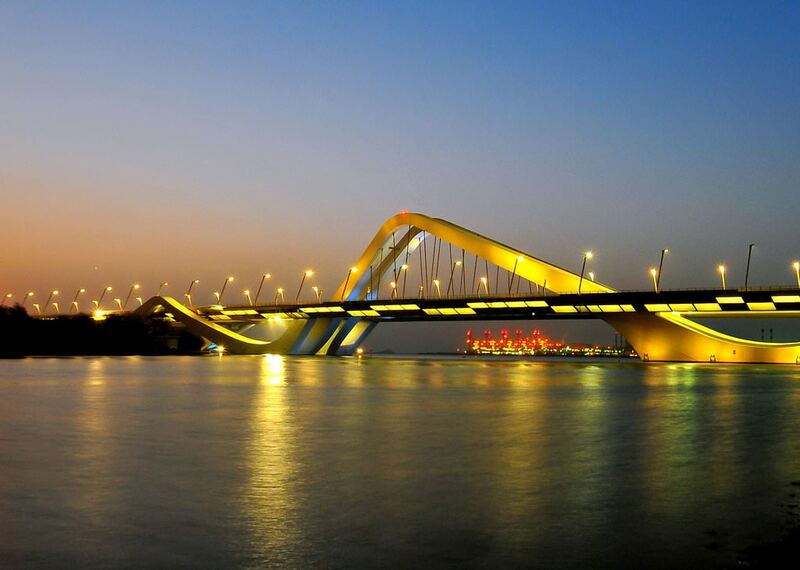 This guide to iconic landmarks and sights of Abu Dhabi Region is protected by the copyright law. You can re-publish this content with mandatory attribution: direct and active hyperlink to www.orangesmile.com. Check on the map: Distance from Abu Dhabi Region center - 66.3 km. Check on the map: Distance from Abu Dhabi Region center - 58 km. 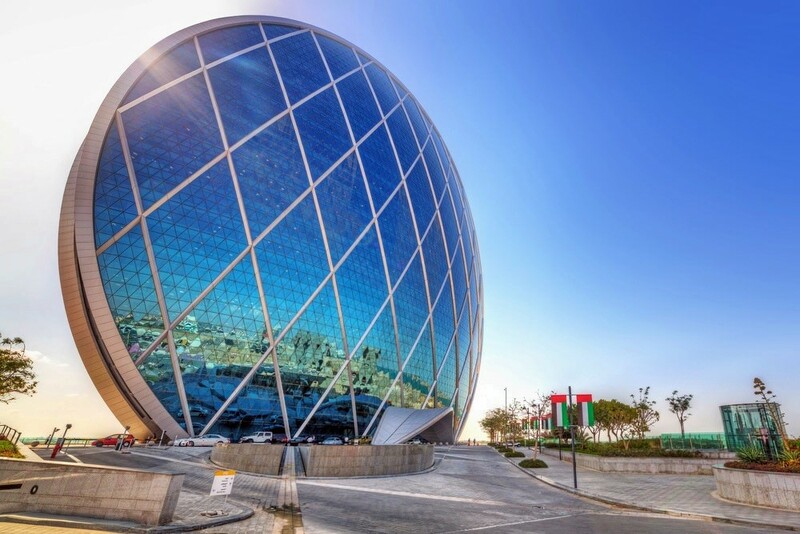 All about Abu Dhabi Region, United Arab Emirates - sightseeings, attractions, touristic spots, architecture, history, culture and cuisine. 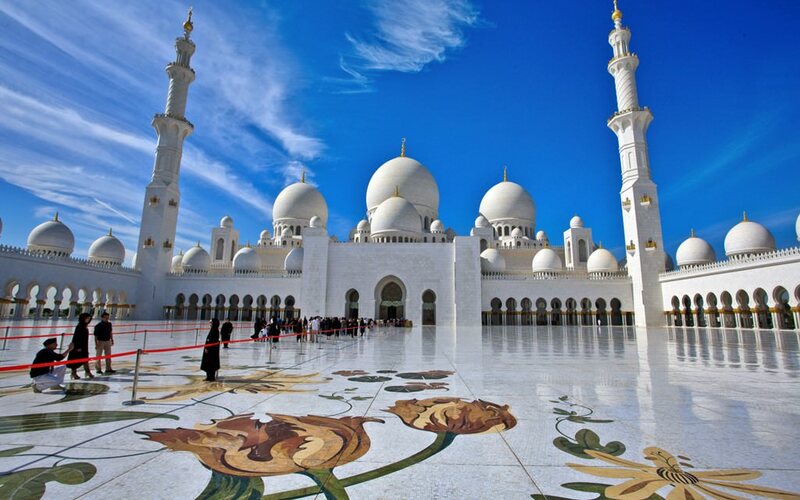 Prepare your trip together with OrangeSmile.com - find out the 'must see' things in Abu Dhabi Region, which places to visit, which excursions to take, where the breathtaking views are waiting for you. Planning your trip with this travel guide will help your to get the most out of Abu Dhabi Region in few days.